Q:What is the new Simply Scored tool in the Holiday Mini? detail that makes our products stand apart from the crowd. 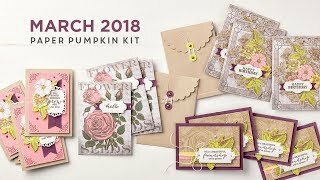 The product team at Stampin’ Up! sure had their thinking caps on when they designed the new Simply Scored Scoring Tool. They covered all the bases to make a tool that is functional, simple, and goes the extra distance to give you value! 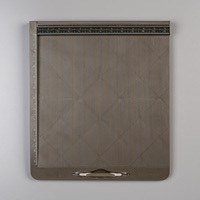 The Simply Scored tool fits 12” x 12” paper as you would expect. It has full rulers across the top edge and down the left side that are marked at every 1/8”. Plus, there is a centering ruler along the top edge. The sturdy, yet lightweight, construction of the Simply Scored tool comes from built—in reinforcements that prevent the scoring surface from bowing when you are scoring. There are also nine non—skid feet so it doesn’t slip around when you are scoring your card stock or Designer Series Paper. The stylus is included with the Simply Scored tool and has its own handy storage spot that it clips into so you won’t lose it. The stylus is ergonomically shaped and features a comfort grip so you can score the 100 boxes your daughter wants for her wedding without any problems. Life is always simpler when everything has a place. With the Simply Scored tool, the smart details are built in. How many times have you lost accessories to your tools rendering them useless? That won’t happen with this handy tool! The top edge of the Simply Scored has a secret compartment for holding an extra stylus, extra place markers, bone folder, or other essentials like maybe chocolate! The ergonomically designed stylus is included with the Simply Scored tool and has its own handy storage spot that it clips into. The stylus has two tip sizes so you can choose which you prefer depending on how hard you press. Not only does the stylus score easily and smoothly, the refined steel tip gets even smoother with use rather than wearing out like plastic tools. One of the most unique features of the Simply Scored tool is the row of little holes at every 1/8” interval for included place markers. The 1/8” groove spacing gives you the ultimate flexibility, unlike others that have a varying assortment of width or pre-set measurements. The markers are great for saving time when scoring multiple projects and for more complex designs and projects. Allowing you to set once and forget measuring again and again. If you ever need more markers, just contact me, as we have them available as a separate purchase as well. Don’t forget, when you purchase this product at a workshop, you are helping a friend to earn free products. Or have you own workshop by ordering all your supplies at once and earn free shopping rewards. Simply Scored – Simply the Best! Imagine you are creating a bunch of tri-fold cards for Christmas or as gifts for teachers. Simply pop the place markers in at your desired scoring measurements. Then you can easily slip one card after another into the corner of the Simply Scoring tool for precise alignment and score to your heart’s content without having to measure and re-measure. Because the scoring groves fall at every 1/8”, you can make the projects you want without having to reposition the card stock or go through convoluted calculations required by systems with irregular scoring groves. And the final difference? Me! Yep, I come included with the purchase of the Simply Scored tool. Don’t worry, you won’t need to provide room and board. 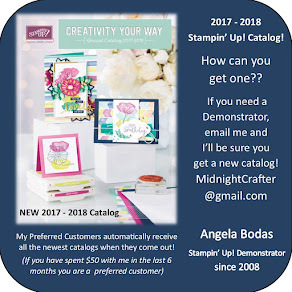 My point is that Stampin’ Up! provides me with great training and resources so I can be your personal expert. All that comes included with the affordably-priced Simply Scored tool — now that’s a deal worth getting! Give the Simply Scored tool a try. I think you’ll love the simplicity and details that make it simply the best!